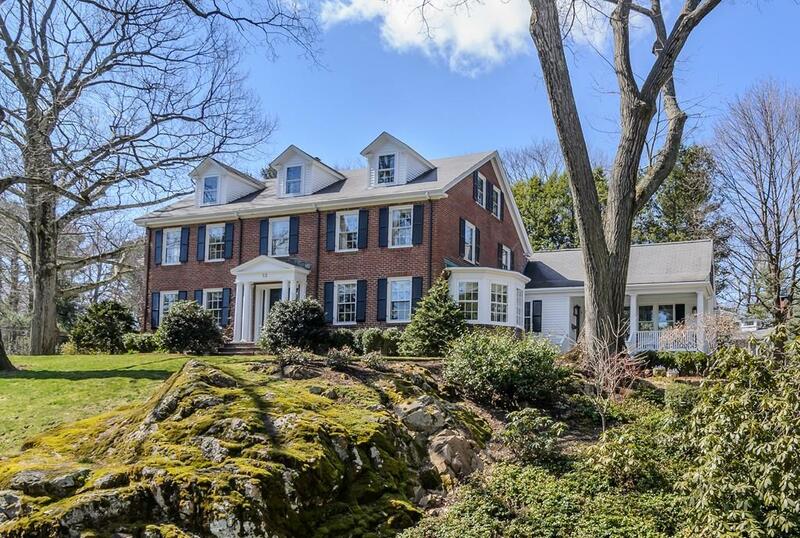 This quintessential brick colonial in sought after Cliff Estates sits atop .72 acres of meticulously landscaped grounds. This home is a perfect blend of sophistication, charm and function. The gracious foyer opens to a beautiful fireplaced formal living room and stunning dining room with built-in window seat and floor to ceiling china cabinet. A butlerâs pantry leads into a wonderful, open, eat-in kitchen. The light filled, adjoining family room includes built-ins and a gas fireplace. The 4-season sun porch overlooking the yard is a perfect spot to relax and take in the gardens. The spacious second floor offers a master suite with bath, two additional bedrooms adjoined with a playroom, double vanity bathroom, office with custom built-ins, and over-sized laundry room. Two additional bedrooms, full bath and a sitting room complete the third floor. The lower level includes a multi-purpose game room and plenty of storage. Donât miss this stunning home!